Vietnamese cold rolls are an easy dish to make, whether as a meal or as a snack. They're healthy, nutritious and satisfying to the tummy, and very cost-effective, so don't worry about spending a lot of money to make these little bundles of happiness. Cook the rice noodles in a sauce pan with boiling water for about 5-10 minutes till soft. Then, remove from boil, drain the noodles and rinse with cold water so that they don't clump together. Cook the beef mince next, in a deep pan till it turns golden brown. Fill a bowl with hot (not boiling) water and keep aside. Place 1 rice paper into the bowl and soak it till it's soft enough. Place the softened rice paper onto the plate. Add the ingredients as you desire onto the rice paper. Make sure you get relatively small servings of the ingredients or it may become messy to wrap later. Top off your rice paper with a dash of the peanut satay sauce and a squeeze of lemon juice before wrapping up the roll. 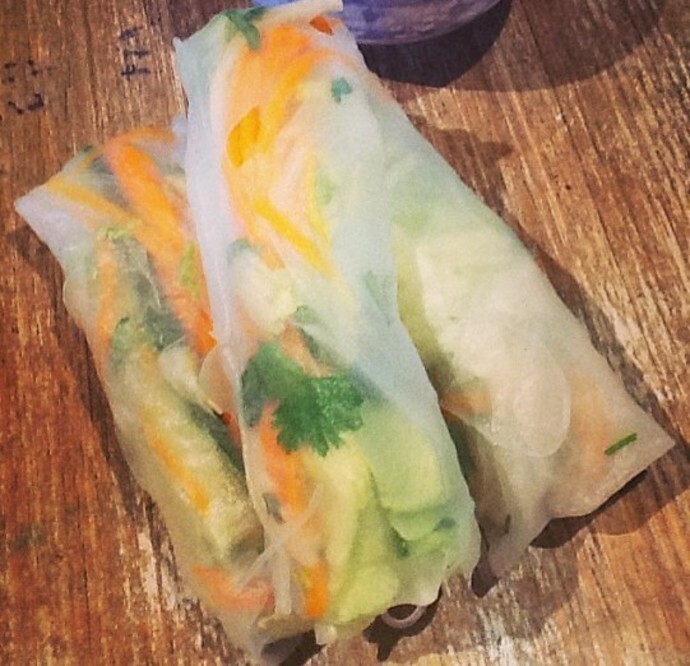 Fold the cold roll with the edges of the rice paper and seal tightly. Alternatively, you may wish to leave the satay sauce in the previous instruction and instead use it as a dipping sauce after making your cold roll.